The Crowngate Shopping Centre represents one of many extensive refurbishment projects the people of Helix have worked on in their careers. Situated within Worcester's historic market town, like many shopping centres of the 1980's, the aesthetics were ageing and poorly designed to their surrounding context. The team at Helix, then working at ESA Design Ltd. completed the full refurbishment in 2010, vastly improving the dated interiors. 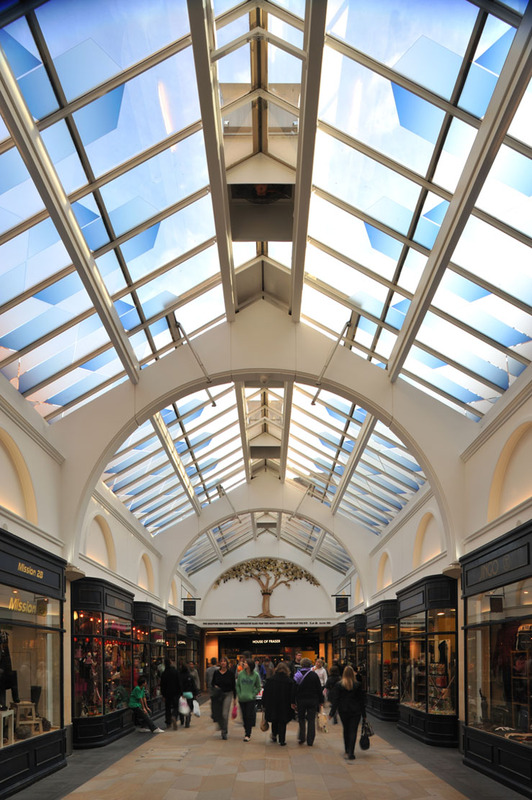 Respecting and enhancing the original mall design played a key role in the restoration process, whilst more 'modern' areas were fully refurbished to improve lighting and wayfinding. Subtle yet contemporary improvements were made to enhance this popular town centre destination. As with all of our refurbishments, the works were carefully planned and sequenced to ensure the centre continued to trade.